“Tsukiji” Market is the largest market in the world dealing with many marine products and its vigorous trading attracts many tourists to enjoy foods and shopping. In this issue we introduce café “4SEASON” where you can make a pause during the tour. 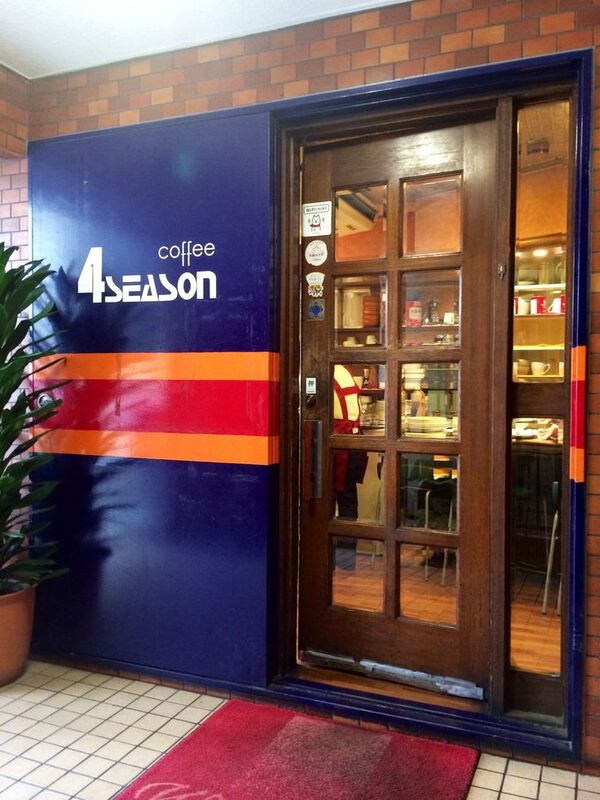 “4SEASON” is located in outer market of “Tsukiji”. It is founded more than 30 years ago and very popular being introduced by TV and magazines many times. 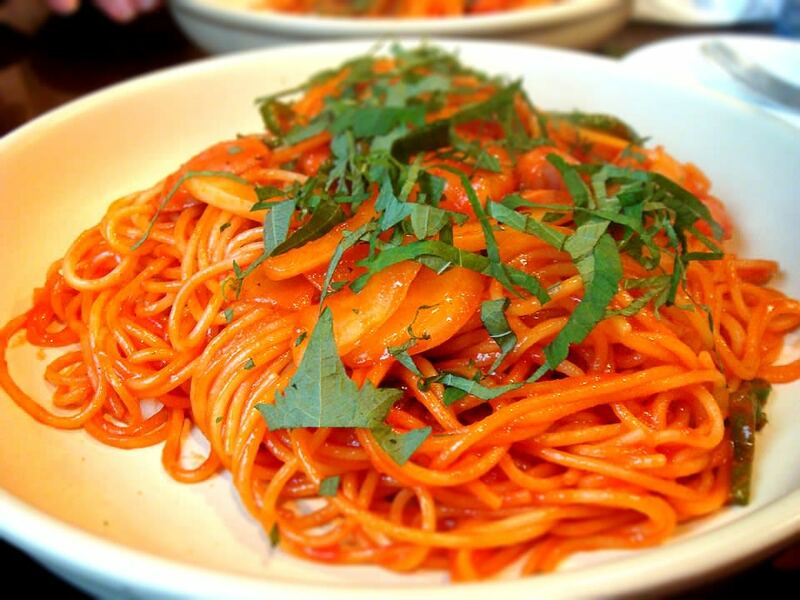 In particular its spaghetti is famous for many varieties more than 12 choices, for example with sea foods, Japanese style, traditional Neapolitan, with curry, etc. The pasta is carefully produced and impeccable. 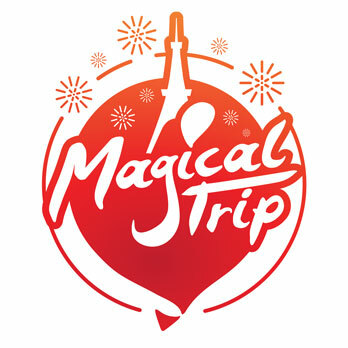 It is a must go spot. It has a friendly and relaxing ambience. Why not drop by while your visit. You should not miss “Spaghetti Neapolitan”, highly praised by the medias, TV and magazines! When you visit “4SEASON”, you should not miss “Spaghetti Neapolitan”, the most popular in the restaurant. The pasta produced in particular method has sticky and stringy feelings. It is carefully cooked one by one and has a shrimp in it, which represents “Tsukiji”, fresh sea foods. 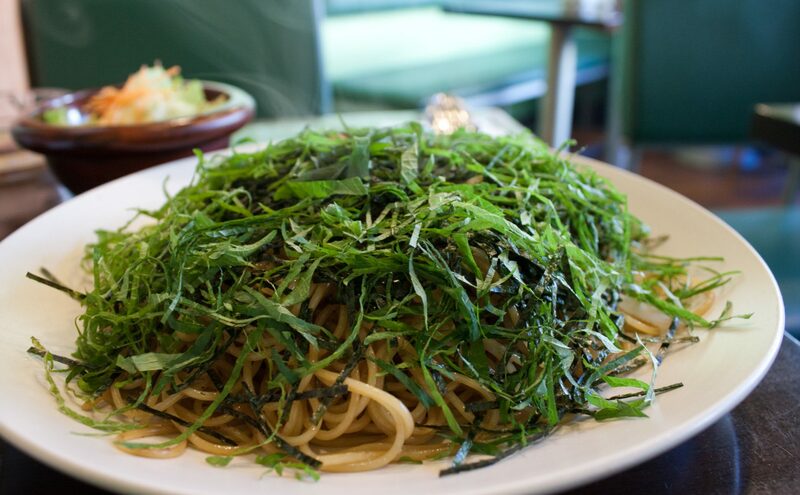 At “4SEASON” the Japanese pasta is also highly recommended. It is seasoned by soya sauce together with ingredient of sausage, onion and green pepper, and with toppings of seaweed and “Shiso” (Japanese basil). Please enjoy the unique Japanese pasta.